Love it or hate it, Settlers of Catan helped shatter the cross-generation barriers of tabletop. Instead of fighting over whether or not to play Scythe or Monopoly, I've witnessed many families settle for Catan and have a blast doing it. It's most definitely a gateway game. 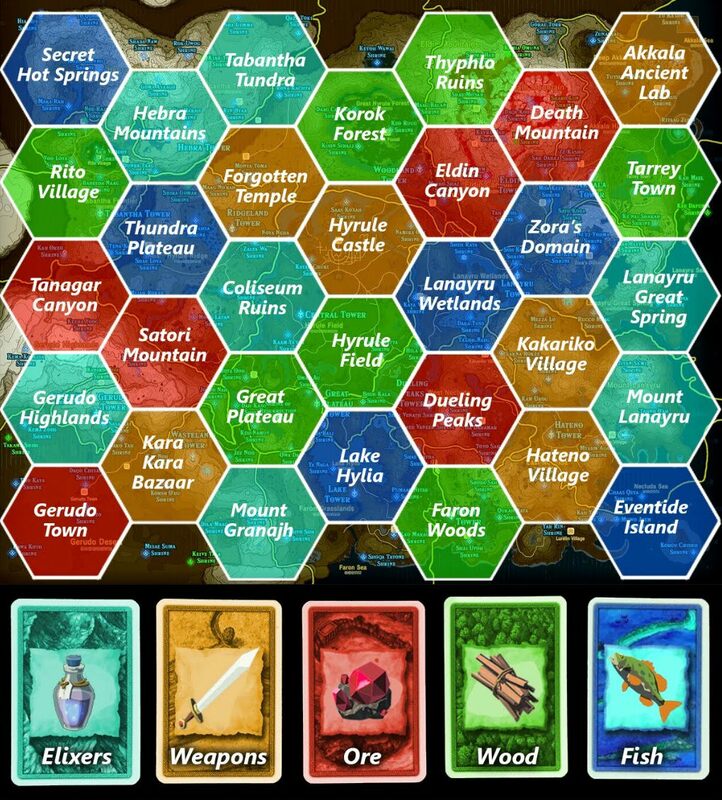 That's why so many people will probably "get" this Settlers board based on Zelda: Breath of the Wild by redditor redjaypeg. You can hear the arguments now about how your aunt is hoarding all of the wood and refuses to trade, while your uncle begs for fish the entire game. Just build a bridge to the secret hot springs Jim, Jesus! According to the creator this is a work in progress board, but it's promising so far! Given that Game of Thrones Catan is a thing and Nintendo's openness for licensing tabletop items I can see this easily becoming a reality someday.